What is Mutual Fund Indexation? 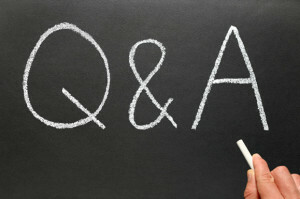 How it helps reduce Tax on Debt Funds? You are here: Home / Mutual Funds / What is Indexation of Mutual Funds and why is it important for you? Your investment in long term debt funds should reap you good returns on maturity, right? But what if these returns come under the axe of tax? How do you stop that from happening? The simple answer to that is Indexation. Indexation is a financially prudent measure to reduce your tax obligations on your returns. You get to keep the better part of your returns, as you rightfully deserve. But how is that done? Simple. The price at which you buy units of your debt fund is inflated or increased. This automatically implies lesser tax liability, because the gains you receive are reduced. And hence, you can enjoy more gains in your hand instead of losing it to the clutches of tax! Indexation is applicable only in cases of Long term debt funds. Equity funds are taxed in a different manner. What is Indexation & How it works? How does Indexation work? It relies on the dual pillars of Inflation and Capital Gains. Inflation, as you must know, is an increase in prices of various commodities. Your favorite sneakers were priced at Rs 500 three years back, but the same sneakers now cost Rs 800. This also implies that there will also be a fall in your purchasing capacity over time. Why? Because of Inflation. You might be able to buy 5 units of a certain commodity at Rs. 200 today, but you might be able to buy only 3 units of the same commodity at the same price some years from now. That is the effect of inflation. It eats into the value of your money, making things expensive. Capital Gains, on the other hand, is the positive difference between the purchase and the current market price of your investment. Simply put, it’s a reward for your patience, only in monetary terms. This difference is seen over a specific time period. So, let’s assume the NAV of a certain fund is Rs. 20 today. And a year from now, the NAV stands at Rs. 40. It can be said, then, that your investment has earned a gain of Rs. 20. Gains from the sale of units of your Debt Mutual Funds are classified as Capital Gains. If you have held such long term debt investments for 3 years or more, your long term debt funds are taxable at the rate of 10 % without the benefit of Indexation. As such, you can beat taxation and adjust the price of your debt fund units. This will reflect the effect of inflation. Since Indexation will reduce your long term capital gain, i.e. show less profit, your tax obligations will automatically come down. Isn’t that a relief? In order to arrive at your Indexed Cost of Acquisition (ICoA), there is a small formula you need to apply. If you are wondering what CII is, it is nothing but Cost Inflation Index. The rate of inflation for indexation purposes have been specified by the Indian Government for every financial year since 2001-02. These rates can help you in easy computation. 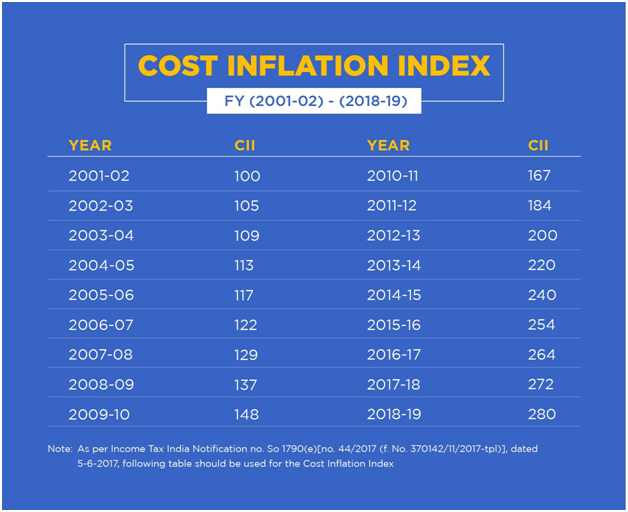 Here is the table of Cost Inflation Index numbers, as stipulated by the Income Tax Department. You can take values from the table to compute the indexed or inflation-adjusted cost of inflation. 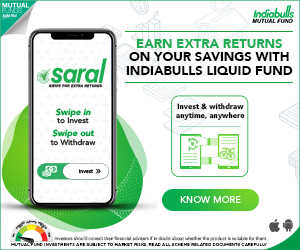 Mutual Fund Indexation Benefit – How it helps reduce your Taxes on Debt Mutual Funds? You had invested Rs. 1 lakh in a debt fund in January 2010 by purchasing 10,000 units at a NAV of Rs. 10. Say you redeemed all of it in September 2013, when the NAV was Rs. 16. The value of your investment, therefore, became 1.6 Lakhs, i.e. 10,000 units @ Rs 16 each. However, since your investment is long term (more than 36 months) the entire gain of Rs. 60,000 could be taxed at the rate of 20%. Sigh! You stand to lose a significant chunk of your earnings in taxes. Sale Price of Your Units – Indexed Cost of Acquisition, i.e. Rs (1,60,000- 1,48,649). This means that your long term capital gains amount to Rs 11,351. Thus, you will be taxed at the rate of 20% on this amount, which is peanuts, compared to the original taxable amount of Rs 60,000. Let’s take another instance to illustrate this point even further. Let’s say you invested in a debt fund in May 2012. Your investment amount was ₹2,00,000 (20,000 units @ Rs 10 each). Five years later, you redeemed your investments in June 2017, at a value of ₹3,00,000 ( 20,000 units @Rs 15 each). Hence, when you sold your investments, the value of your investments was ₹3,00,000. Your investment made capital gains worth ₹1,00,000. However, you need not pay tax on this entire amount of ₹1,00,000. All you need to do is apply the formula. This would mean that your indexed cost price of acquisition would be – (2,00,000 * 272/200) = Rs 2,72,000. As again, your Long term capital gains would come down to Rs. 28,000 (Rs 3,00,000- Rs.2,72,000), you will be taxed 20% of this measly amount (as compared to Rs 1,00,000 without indexation) which will again, greatly reduce your tax obligations. Thus, with Indexation, you can enjoy the benefits of your own investments without losing an excessive amount of taxes. It helps build up your wealth significantly to pursue your life goals. So, the next time you decide to invest, choose a debt fund which provides you with the benefit of indexation. Invest wisely, save taxes! Start investing today. Samant Sikka is the Chief Dreamer & Founder of Sqrrl – a personal finance, fintech venture targeted at young Indians helping them improve their relationship with money ultimately helping them Save, Invest & Prosper!! Mutual Funds Capital Gains Taxation Rules – How are Mutual Funds taxed? Best Mutual Funds to invest now! Kindly note that ReLakhs.com is not associated with Sqrrl. This is a guest post and NOT a sponsored one. We have not received any monetary benefit for publishing this article. The content of this post is intended for general information / educational purposes only. Samant has been a student of financial markets & human behavior for 20+ years helping investors, institutions, and advisors. 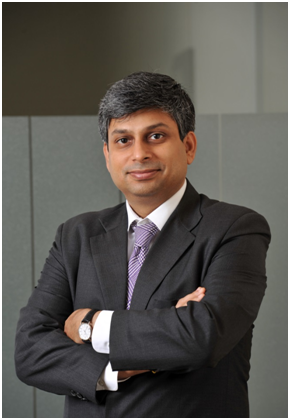 He has vast experience across Strategy, Sales, Business Development & Advisory Roles with stints at Axis Asset Management, Goldman Sachs, Franklin Templeton, AIG, and Darashaw& Company. How to calculate indexation for SIP & Lumpsum Please explain in details. Related article : Mutual Fund Taxation rules.. Very well addressed with simple examples. LTCG after 3 years withdrawal will be handed over by deducting TDS or we have to show this LTCG while filing ITR after indexation. TDS is not applicable in case of MF investments made by Resident Indians. One needs to disclose the LTCG in ITR and file taxes accordingly. Well explained about the benefit of indexation. Please give the list of Debt funds with the benefit of indexation. The long term capital gains from all types of Debt funds have this indexation benefit. Thank you for the indexation calculation on Mutual Funds capital gain tax. Is this calculation logic applicable for SIP investment assuming monthly plan? If the units of a Debt fund scheme are held for more than 3 years then they are eligible for Long term capital gains (if any) and for indexation benefit.